We’re very pleased to share that last night our developers released the firmware for the Antminer S9 to enable what is popularly called the “overt AsicBoost” functionality. We will also release in one week the firmware to activate this functionality in other BM1387-based models namely the Antminer R4, S9i, S9j, T9 and T9+. This step will increase future effectiveness of several Antminer models and provides the framework for a strong long-term network. Initially, we decided against activating this mathematical function in mining hardware produced by us, largely because of the legal uncertainty surrounding the use of AsicBoost. As an organization, we didn’t want to violate patent laws or act in any way that was untoward. Instead, we continued to focus our efforts on R&D and building the industry’s most efficient mining chips. It’s worth noting, as outlined in a April 2017 blog post, our ASIC chip BM1387 has the capability built into the chip technology. In March 2018, we noticed new manufacturers of hardware advertising the use of “AsicBoost” and soon after that we noticed blocks being mined on the blockchain using AsicBoost. To give users of our mining pools the option to mine using AsicBoost we added support for it on both BTC.COM and Antpool. Now we are pleased to give Antminer users whose miners have the capability to support this function a choice to avail this advantage without any negative impact on the Bitcoin protocol. This variant of the “overt AsicBoost” simply uses version bits different from those that other manufacturers have been using. It is equally transparent because it can be seen in the blockheader of boosted blocks. With regard to patent rights, we continue to respect third parties’ IP right and take actions accordingly. Based on legal opinions from various jurisdictions, we believe that there isn’t and may never be a patent right over AsicBoost. Thus, all miners should be entitled to make their own choice on whether to use AsicBoost technology without anybody having an exclusive right over it. 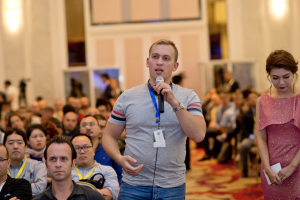 Bitmain is committed to creating the industry standard for the most efficient and effective miners on the market. After testing AsicBoost on the Bitmain testnet, we found that the functionality does improve mining efficiency. Future Effectiveness: We recognize that cryptocurrency mining technology is rapidly evolving, innovating, and improving, and hardware depreciates rapidly. By activating AsicBoost, our customers’ hardware will increase in effectiveness while the future hardware we make continues to be the industry gold standard. 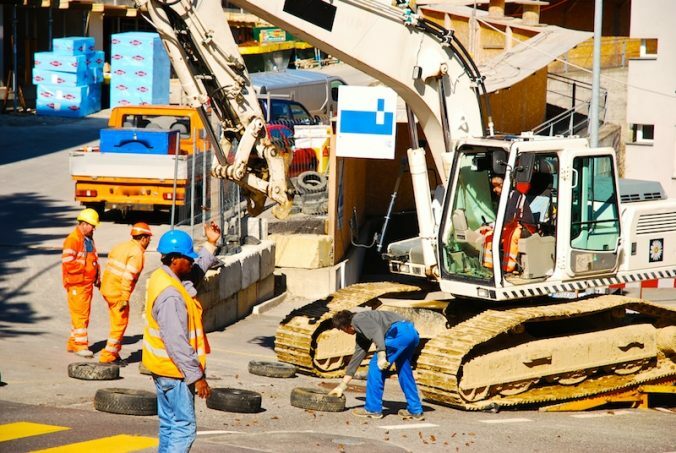 Stronger Network: We have been very transparent that we have activated AsicBoost in the miners on our testnet and have found that it improves efficiency in mining operations. Utilizing this technology will be very beneficial for the mining. AsicBoost has the potential to reduce the J/TH cost and increase the total hashrate of the network. By activating this upgrade widely, we are making the Bitcoin network stronger than ever before. BEIJING, P.R. 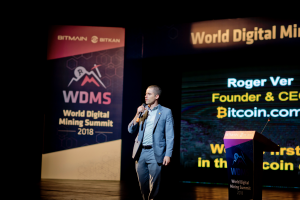 China, September 21, 2018 – Jihan Wu, co-CEO and co-founder of Bitmain Technologies Ltd., announced Bitmain’s next-generation ASIC chip BM1391 for mining cryptocurrencies using the SHA256 algorithm at the World Digital Mining Summit in Georgia today. Mr. Wu also revealed that Bitmain will soon launch a new generation of mining machines equipped with the BM1391 chip. 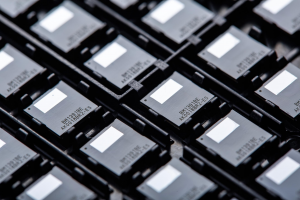 The new ASIC SHA256 algorithm acceleration chip carefully built by Bitmain uses one of the world’s most advanced semiconductor manufacturing technologies, 7nm Finfet. 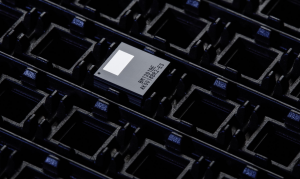 The ASIC chip integrates more than a billion transistors and is optimized for maximum efficiency. Thanks to its unique circuit structure and low power technology, it is stable and more efficient. 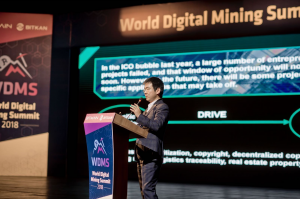 Mr. Wu said tests have shown that the chip can achieve a ratio of energy consumption to the mining capacity that is as low as 42J/T. At his keynote speech at the summit, Mr. Wu said mass production of the 7nm chip will begin and be applied to the next generation of Bitmain’s Antminer machines, improving the new miners in various performance indicators, in terms of power and power consumption, and enabling outstanding performance. 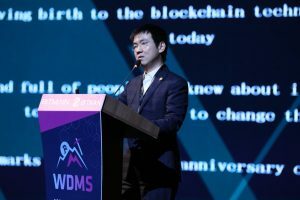 Mr. Wu also pointed out that blockchain technology has continued developing to the present day, noting that the technology’s first decade has seen many difficulties, and that the future direction of development will center around applications of the blockchain. He said that as applications continue to develop, the industry’s market capitalization as a whole will drive growth. Exponential growth in blockchain user traffic will at the same time require ever greater capacity in data processing, with hardware acceleration and parallel computing technologies being integrated with blockchain to help solve this problem. Bitmain has been committed to the development and launch of high-performance computing chips. Since its establishment, Bitmain has independently developed and mass produced a variety of chips. In 2016, Bitmain took the lead in releasing and mass-producing 16nm chips, applying them to its Antminer S9 miner and other models. The Antminer S9 quickly occupied international markets with its high-computing power, low power consumption and strong stability, and has become a leader in the global mining machine industry. In addition, Bitmain’s Antminer series of mining machines has introduced a variety of models that support different encryption algorithms to meet the global demand of different digital currencies. As a world leading high-performance computing chip company, Bitmain has grown rapidly over the years. It now has multi-brand businesses including Antminer, Antpool, BTC.com and Sophon. Bitmain’s cryptocurrency mining machine has long been a world leader with a market share of more than 70%. The 7nm chip reflects the R&D strength of Bitmain and further consolidates Bitmain’s industry position. 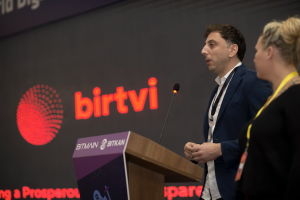 For the entire industry, this not only accelerates the development of digital currency mining but also sets a new benchmark for quality, providing miners with a better mining experience. Bitmain – founded in 2013 and headquartered in Beijing – transforms computing by building industry-defining technology in cryptocurrency, blockchain, and artificial intelligence (AI). Bitmain leads the global blockchain industry in the production of integrated circuits for cryptocurrency mining, as well as mining hardware under the Antminer brand. The company also operates the largest cryptocurrency mining pools worldwide – Antpool and BTC.com. 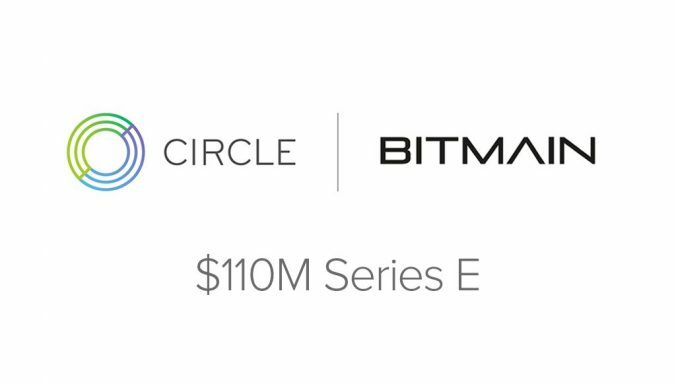 A leader in the still-nascent, high-growth blockchain technology ecosystem, Bitmain supports a wide array of blockchain platforms and startups, and actively participates in industry and community development. Bitmain has offices throughout China, including Hong Kong, and offices worldwide. For further information on Bitmain, see www.bitmain.com. 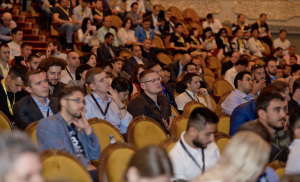 Bitmain, together with BitKan, is currently hosting the World Digital Mining Summit September 21-23, 2018 in Tbilisi, Republic of Georgia, featuring 30+ speakers and up to 1,000 attendees: miners, mining machine manufacturers, investors, mining pools, technologists, researchers and more. For further information, see www.miningconf.org. Bitmain International PR and Communications Dept. We will now be Tweeting all news and announcements relating to the Antminers or other products sold on shop.bitmain.com from Antminer’s Twitter account. As we continue to expand our operations, it will be useful for everyone to have a Twitter account dedicated to Antminer-related news or announcements. For buyers of the first batch of the Antminer Z9 mini, we will continue to post Z9 mini’s shipping updates from the new Antminer account. For all corporate communications from Bitmain, please continue to follow our original Twitter account twitter.com/BITMAINtech (which is temporarily suspended because of confusion over Bitmain’s age) and our blog. With multiple thriving cryptocurrencies supported by diverse development roadmaps within each, Bitmain strongly believes that the permissionless internet of money promises a more secure future. Zcash is one such cryptocurrency that we hope to see thrive and help deliver on this promise. Bitmain supports those members of the Zcash community who believe that security, reliability, and accessibility are among the highest-order values in a cryptocurrency network. We also believe that dedicated, ASIC-based mining systems reinforce these values. This is especially evident given recent news about the potential security dangers when crypto networks are not secured by large amounts of dedicated and dependable mining power. Given that, we want to make sure we do our best to allow Zcash community members to predict and plan for when increased hash rate comes online. 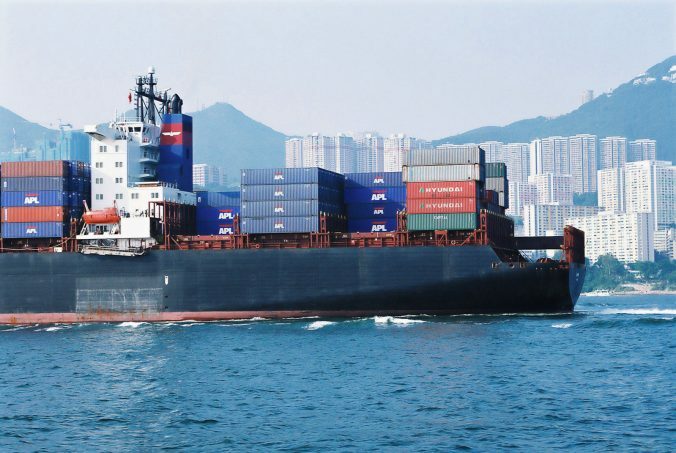 We have therefore decided to carry out the shipments and QA of all Antminer Z9 Mini units in the most transparent fashion possible. To this end, we will tweet real-time updates from our QA teams and shipping warehouse via our official account (on 19th June, all Tweets, including these Z9 mini updates, relating to Antminer series and all other products sold on shop.bitmain.com moved to twitter.com/Antminer_main), using the hashtag #Z9QA. 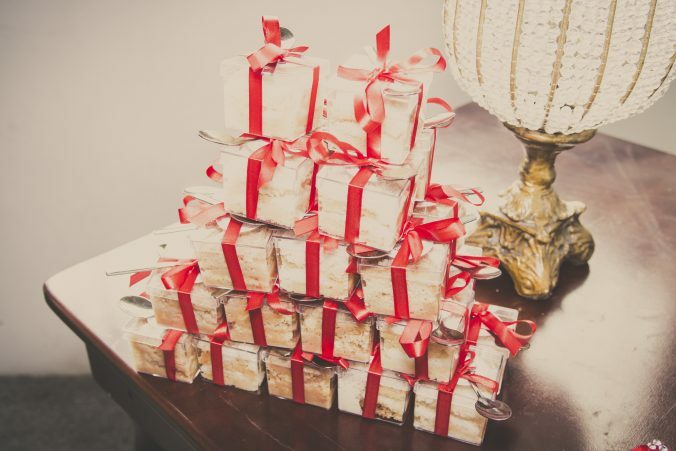 As has always been our policy, all orders will be shipped on a first-paid-first-shipped basis. We will also share the time of payments (though not the identity or location of the buyer) for the orders that are about to be shipped. David Vorick, lead developer of Sia, recently shared a blog post titled “The State of Cryptocurrency Mining,” which provides a perspective into the cryptocurrency mining world. First off, we’d like to express our appreciation for David and what he’s achieved with Sia. The crypto community revolves around transparency and trust, and we hope to someday work with David and his team. That said, the article reflects some persistent misunderstandings about our business, and we’d like to take the opportunity to clear up the confusion. We’d like to briefly address the most egregious ones. The article accuses Bitmain of “playing dirty,” claiming that that the company has attempted to block Obelisk from manufacturing in China. Considering the truly vast number and diversity of suppliers in China, it’s difficult to consider that Bitmain could possibly exert such powerful control over a competitor’s supply chain to the degree the article suggests. The article does try, though. Indeed, this section—fully six percent of the total article—tries to accuse Bitmain of “playing dirty” while stating twice that there is no evidence of same. There are numerous suppliers and other third-party agencies involved in the manufacturing of a miner, both in China and elsewhere. This is, at its very bottom, a conspiracy theory, much like some of the other ones we frequently encounter. This brings us to the next item. The article asserts that Bitmain floods the market with its mining rigs. Here is what really happened: At launch, Bitmain introduced a strict one-miner-per-user batch allocation policy and other methods  in order to restrict hoarding and combat centralization. The number of miners made available per round was purposely limited to help further regulate their introduction into their respective ecosystems. Since then, we’ve enforced this policy with the launch of all ASIC miners for cryptocurrencies that can be profitably mined by GPUs. The article’s calculations here are merely speculative. In the past year, blockchain technology has attracted considerable attention across the world. The entire industry continues to thrive and grow. Meanwhile, we at Bitmain have also made continuous progress by keeping excellence as our focus. We would like to express our gratitude to all customers, whose trust and support have been essential to our progress. To this end, we are pleased to announce a Lunar New Year Coupons (the “Coupons”, each a “Coupon”) giveaway for all our customers (at the time of writing this). Who are eligible for these Coupons? Those who have successfully completed purchase (with 100% payment) of an Antminer S9, T9+, T9, L3+, L3 or D3 on our official website (https://www.bitmain.com/) before 23:59:59 on 26 February 2018 (GMT+8) will be eligible for the Coupons. How much are these Coupons worth? The answer to this depends on what and when you successfully placed and paid an order on www.bitmain.com. Please read below to find out. For EACH Antminer S9 that has been ordered and fully paid for before 23:59:59 on 26 February 2018 (GMT+8) and shipped before 23:59:59 on 22 February 2018 (GMT+8) (the shipping time shall be the one specified in www.bitmain.com), a US$100 off Coupon will be issued to the buyer. For EACH Antminer S9 that has been ordered and fully paid for before 23:59:59 on 26 February 2018 (GMT+8) but was NOT shipped before 23:59:59 on 22 February 2018 (GMT+8) (the shipping time shall be the one specified in www.bitmain.com), a US$200 off Coupon will be issued to the buyer. For EACH Antminer L3+/L3/T9 that has been ordered and fully paid for before 23:59:59 on 26 February 2018 (GMT+8), a US$100 off Coupon will be issued to the buyer. For EACH Antminer T9+/D3 that has been ordered and fully paid before 23:59:59 on 26 February 2018 (GMT+8), a US$200 off Coupon will be issued to the buyer. When will the Coupons be issued? All Coupons will be issued before 1 March 2018. Please click on “Coupon List” under “My Coupon” in “User Center” after logging into your shop.bitmain.com account, to check whether your Coupon has been issued. When can these Coupons be used? The Coupons can be used after they have been issued and will expire on 31 May 2018 (GMT+8). The Coupons will not be issued in cash and cannot be exchanged for cash. It can only be used to deduct the payment amount when you purchase our miners through www.bitmain.com. The number of Coupons that can be used in an order should be same as the number of miners in the order. More than one Coupon cannot be used for the purchase of one miner. During the purchase process, once the Coupon has been selected and the order has been submitted, the Coupon is deemed to have been used and cannot be used again, even if such an order is not fully paid. Coupons can be transferred to other users’ accounts on www.bitmain.com. The amount deducted by the use of a Coupon or Coupons cannot be invoiced.